Astrix Technology Group is a premier servcies partner for Thermo Scientific and offers a comprehensive SampleManager LIMS™ upgrade service. As the premier Thermo Scientific SampleManager LIMS™ Services Partner and SampleManager LIMS™ expert, Astrix Technology Group has extensive knowledge and understanding of the capabilities inherent in the latest version of SampleManager LIMS™. In addition, we have successfully demonstrated the use of industry wide best practices in the evaluation, design, development, implementation and integration of laboratory informatics solution options for hundreds of clients in a wide range of industries. Astrix has the product expertise, industry knowledge, and wide-ranging skills and experience you need to ensure that you will get the most out of your SampleManager LIMS™ upgrade. System Integration. The upgrade process provides you with an opportunity to integrate your SampleManager LIMS™ with any laboratory, business, or manufacturing software systems. Our informatics professionals have the expertise and experience necessary to both assess and implement your integration needs. Instrument Integration. Whether you have old instruments that were not integrated with SampleManager during your initial implementation, or new instruments that have come online since, your SampleManager upgrade is a convenient time to integrate them with the system. Our professionals have extensive experience integrating instruments with SampleManager LIMS™. No matter what instruments are involved, we have the knowledge and skill required to provide for effective integration. Data Migration. Our informatics professionals have extensive knowledge of the underlying data structures of SampleManager LIMS™. We make sure any necessary data migration to your upgraded SampleManager LIMS™ is accomplished seamlessly. Training. We offer high quality training materials and classes for your SampleManager LIMS™ users to ensure that they understand how to properly utilize all the new features of your upgraded system. Validation. If your laboratory is operating in a regulated environment, your upgraded SampleManager LIMS™ needs to be validated before use. Astrix professionals have over 20 years of experience with computer system validation (CSV). Our professionals provide you with a best practice CSV methodology, along with the peace of mind that comes from knowing your CSV documentation has been produced by experts. 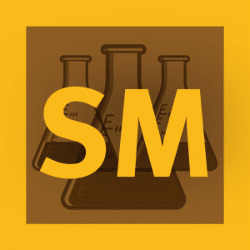 SampleManager LIMS™ version 12 is a web-based LIMS, SDMS and procedural ELN that is fully integrated with the gold-standard Chromeleon chromatography data system (CDS) 7.2 SR5. SampleManager LIMS™ version 12 enables labs to design efficient workflows, drive productivity, ensure data integrity and compliance, and streamline processes across the entire enterprise. The breadth of features and capabilities available in SampleManager LIMS™ version 12 is extensive. Upgrading your SampleManager LIMS™ is the perfect opportunity to take advantage of all the features this system has to offer that can benefit your organization, but you need an expert on your team. Astrix can help you configure and customize the new version of SampleManager so that it will satisfy both your current and future requirements in ways that enhance laboratory efficiency, scalability, compliance and innovation.